shaduzLabs – maschinIO from Mickael Le Goff on Vimeo. Ever thought you’d play Space Invaders on your Maschine? You might. It’s rough days for people who like standalone drum machine gear. Native Instruments’ Maschine is great in combination with software, but it turns into a brick when disconnected from a computer. The mighty Akai has followed suit, replacing their vaunted MPC with more accessories for your computer or iPad. This stuff is the dream of marketers: you get all-in-one hardware/software solutions. But when you want to cut the cord from your computer or go beyond the stock functionality, it’s another story. One hack promises to turn all of that around. And it’s making progress. The project is called maschinIO. And it’s more than a little ambitious, as you can see in this demo video at top. Maschine wasn’t engineered to work this way. Via normal operation, its display and pads are all operated by the computer host. Without the computer connected, and without the host driver, it’s a paperweight. Of course, you’ll want to test the results. And that’s how Space Invaders wound up running on the Maschine hardware, powered by Arduino as USB host but with a Mac or Windows desktop nowhere in sight. With that, you can make a standalone hardware sequencer based on the Maschine hardware interface. So, for instance, that includes using Arduino for simple host mode support for sequencer operation, and outboard gear for sounds – CV and modular being one option. 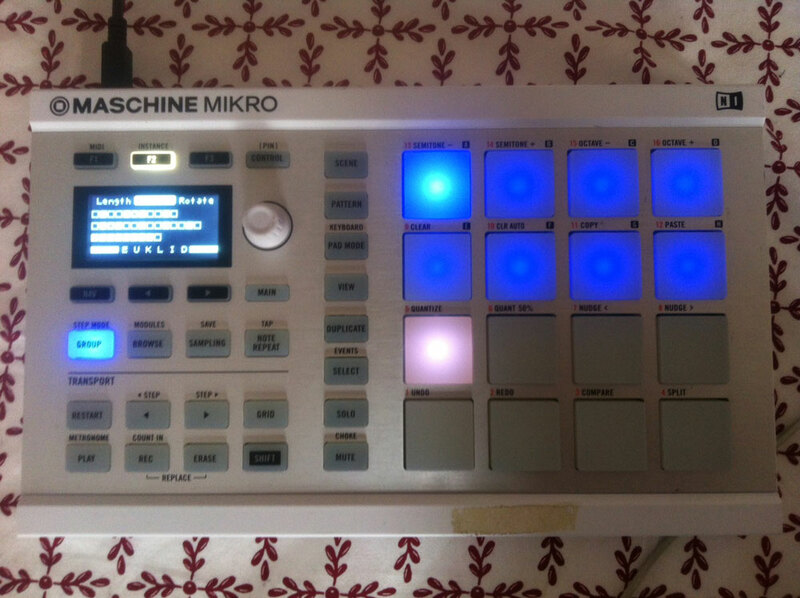 Another use case would be continuing to use a computer for sound, but transforming the way Maschine works as a controller (in its display and software operation). Once the custom protocol and operation are open, the limits are really what you might do with it. Compatibility is looking good, too: Linux on top of Mac and Windows communication, plus MK1 (the monochromatic early models) as well as MK2 hardware support. For everyone else, I think you’ll agree this is a tantalizing display of what Maschine might be. And we’ll be waiting with eager anticipation to see when we’ll get our hands on this ourselves. Having Maschine take on a second life away from the computer sounds fine indeed.